As a soprano soloist Deirdre has performed with many operatic, orchestral, choral and chamber music groups both on the International stage and throughout Ireland. Her music career to date has seen her perform in Canada, U.S.A, Israel, Brazil, Lebanon, Japan, China and throughout Europe. 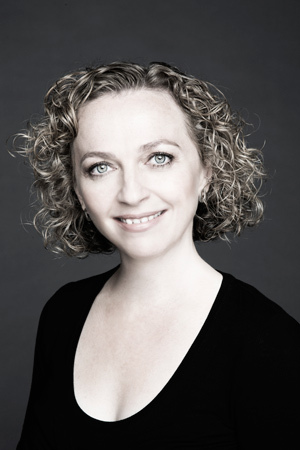 Deirdre has received much acclaim for her performances as a Baroque soloist and her debut CD of Vivaldi Cantatas was released by Naxos to widespread critical acclaim. Forthcoming performances in 2016 include recitals with Alec O' Leary featuring music by Ian Wilson, "Fuil is Uisce", the first every Irish language song cycle written for voice and guitar, and songs from the collection of 13 folk songs by Fedrico Garcia Lorca. Deirdre will appear at the Killaloe festival in June 2016 performing works by Vivaldi and Ian Wilson. Deirdre is a regular soloist with the RTÉ Concert Orchestra and also made her debut performance as a soloist with the RTÉ National Symphony Orchestra for the premier of large scale work, “Merge” written by Brian Irvine. Deirdre has appeared in concert with the Irish Baroque Orchestra on a number of occasions, most notably for a series of December performances of Handel’s Messiah. The three performances were conducted by the prestigious UK based conductor, Jeffery Skidmore. Past performances of baroque repertoire also include Handel’s “Dixit Dominus” and Mondonville’s “Jubilate Deo” with Christophe Rousset, The Irish Baroque Orchestra and Resurgam at the Kilkenny Arts Festival, Monteverdi “Vespers of 1610” with Saint George's Singers, Quintessential Sackbut & Cornett Ensemble and Saint George's Sinfonia, Pergolesi’s “Stabat Mater” (Dublin), Rutter’s “Mass of The Children” (Fermanagh), Mozart’s “Exsultate, jubilate” (Dublin), Mozart’s “Coronation Mass” (Dublin), Vivaldi’s “Gloria” (Limerick). Music Network supported Irish tours, “Anda jaleo – Songs of the People” and “Vivaldi – The Cantatas” were enthusiastically received by audiences around Ireland. Deirdre has sung as a soloist with, amongst others, the R.T.É Concert Orchestra, Irish Baroque Orchestra, Irish Chamber Orchestra, RTÉ National Symphony Orchestra Crash Ensemble and Con Tempo string quartet. Radio broadcasts include Lyric FM, RTE Radio 1 and BBC Radio Ulster. She also has a busy recital schedule and performs regularly with guitarist Alec O’ Leary and pianist Fionnuala Moynihan. Collaborations with various ensembles have resulted in performances at The Hugh Lane Gallery, The Boyle Arts Festival, The Living Music Festival, The West Cork Chamber Music Festival, Dublin Guitar Week, Music for Wexford, The Ardee Baroque Festival, Barrahane’s Festival, Waterford International Festival and Galway Cathedral Recital Series. She has travelled to Japan to give an extensive series of concerts and workshops with The Crawford Piano Trio. She was subsequently invited to return to Japan to give a series of solo concerts. Deirdre embraces the challenge of contemporary compositions and has premiered works by Ian Wilson, Rob Canning, Raymond Deane, Marian Ingoldsby, Ben Dwyer and Hugh O’ Neill. She has been a soloist at The New Music Festival (Andriessen: De Staat conducted by Reinbert de Leeuw) and The Living Music Festival in works by Messiaen, Steve Reich, Dusapin, Tippett and Arvo Part’s Stabat Mater. As a featured soloist with the National Chamber Choir performance highlights include Ingvar Lidholm’s “A riveder le stele” and Bo Holten’s “Rain and Rush and Rosebush”. ‘Ad Multos Anos’– a CD by the NCC of specially commissioned works features Deirdre as the soloist on several of the world premiers. In 2011, Deirdre featured on a new CD release “The John Gibson Collection”– his song cycle entitled “ Five German Songs” which was recorded during a performance at the Hugh Lane Gallery, Dublin. Deirdre holds an MA in Vocal Performance from the Cork School of Music.